1. Log into my.tc.columbia.edu with your UNI and password. 2. 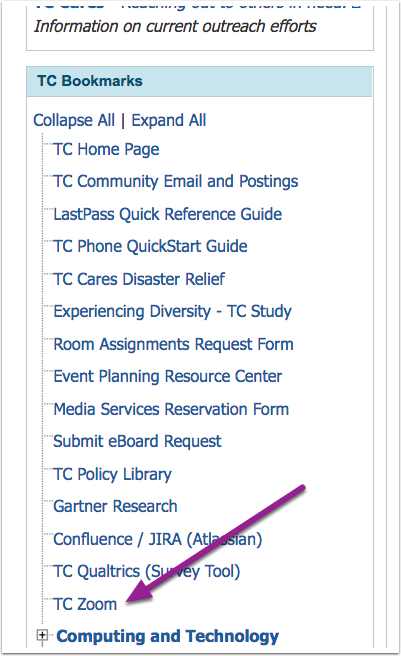 In the TC Bookmarks section, scroll down and click TC Zoom. 3. In Zoom, click Meetings. 4. Click Schedule a Meeting. 5. In the Topic field, enter a name for your meeting. 6. Select the date and time for your meeting. Note: You can start your meeting at anytime. You're not restricted by the date, time, or duration you enter.